Welcome back to “Gma.” In today’s “Weekend download” a very important topic, shining a light on mental health struggles. 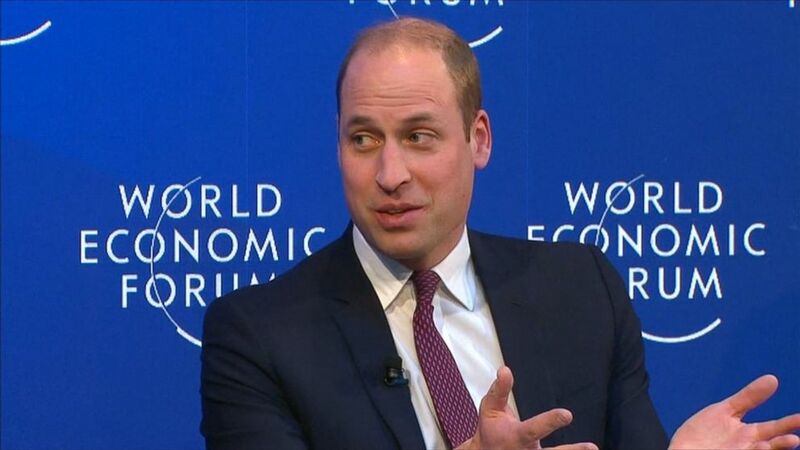 Prince William bringing up the issue at the world economic forum sayigma to seek help must end. Joining us to talk about this is chief health correspondent Dr. Jen Ashton, we always appreciate you being here. Good morning. You’ve been such a strong voice on this issue of mental health as well, bringing awareness to it. Prince William is really trying to get people involved but he said that he had trouble getting celebrities on board. Right. Why is there still a stigma? If the Royals are having trouble, whit, that really says a lot. They are doing a better job in the uk than we are here in the U.S., but we are trying to make strides. I think it’s because if you can’t see something, our society has a hard time taking it seriously. That needs to end. We need to think ontal health and mental illness no differently than we do cancer or heart disease. When we talk about mental health, what are specific conditions we need to be more aware of? We have to start knowing the numbers. Let’s take a look at what those are. 20% of Americans will deal with a mental illness at some point in their life. 50% of all chronic mental illness starts by the age of 14 and the most common, whit, anxiety disorders that affects 40 million American adults. I think something that a lot of people don’t realize is how many resources there are available to people. What can people do if they know someone who needs help or they need help themselves? I think it has to start with knowing the signs. There’s basically five key signs. If you think of them you can really make a difference not just in yourself but for someone else, a personality change, agitation, noticing being withdrawn, poor self-care, they’re not grooming themselves. That is actually a sign and hopelessness. If you notice this in yourself or someone else, ask for help. Get help. It can be life changing and it can be life saving. I think part of the problem, people wait until they’re at the breaking point but when you start seeing these signs and symptoms early on, you should do something. Absolutely and help is available and it’s underutilized. That’s the key. Great point. Dr. Jen Ashton, always a pleasure. Thank you so much.